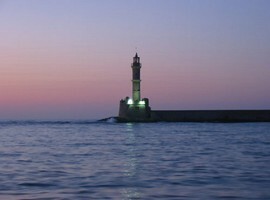 Chania is the second largest city of Crete, located in the north eastern part of the island and is built on the ruins of ancient Kydonia. It is consisted of two towns, an old one, protected by the famous Venetian walls, and the new one, where most people live in nowadays. 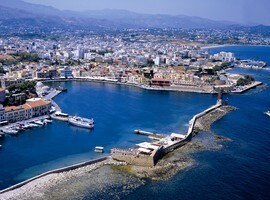 The island has the longest summer season, because of its location at the southernmost tip of Greece and Crete in the summer is usually extremely hot. Depending on where you live, you can either end up in one of the resorts filled with tourists every season of the so-called package holidays, in a completely original village, where tourists are rare, or something in between. 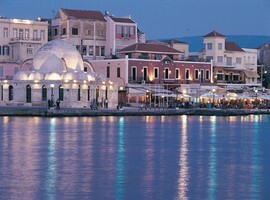 Typically, Chania is the most touristy place, but is also very comfortable here, as you can find almost everything: international cuisine, entertainment, banks, shops and all sorts of big hotels. 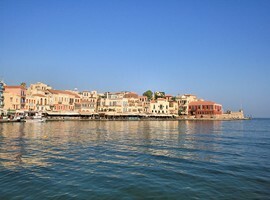 The old City lies next to the old harbor, and it is full of preserved and renewed old houses, restaurants and shops for tourists. 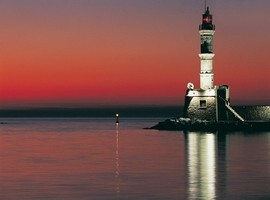 There are old shipyards, used by the venetians for building their ships, an old lighthouse and the fortress of Bastion. 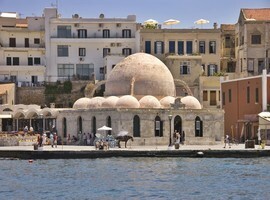 The city’s architecture is a mix of Byzantine, Venetian and Turkish style. 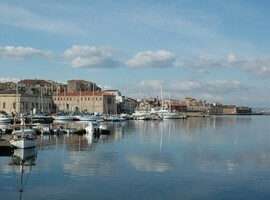 The Venetian port is attractive to visitors and locals, both for its beauty and for the choices of entertainment for all tastes and demands. 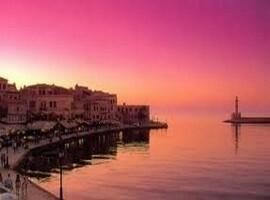 The old city “intramural” districts preserve their Venetian nobility. 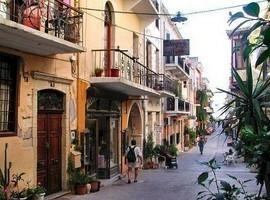 Narrow paved alleys are surrounded with tasteful renewed houses of various ages, are offered for a pleasant stroll. 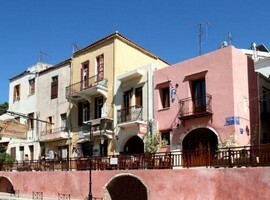 Many neoclassic houses are also saved in districts which “neighbor” with the city of Chania, like Halepa. 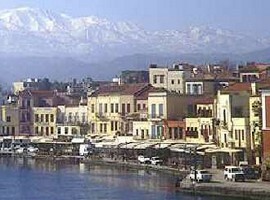 Kastelli Santrivani (or Venizelos Square) is the tourist heart of the city. 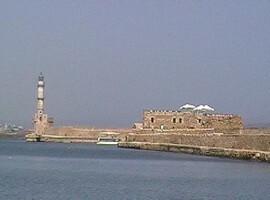 From there one can board a boat to visit the Venetian castles on the islands of St. Theodore and Gramvousa. 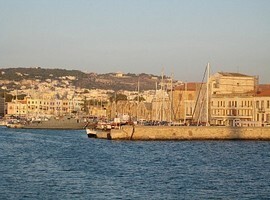 Just beyond is the square of the metropolis Trimartiri Chania and the archaeological museum housed in the Venetian church of St. Francesco. 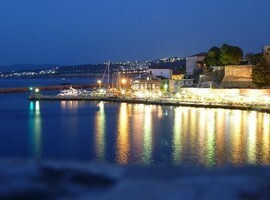 There you will find the “Stivanadika”. It is the region where there are shops which process leather and various leather goods are manufactured. The name was taken from the boots, the Cretan boots, which were made there for centuries. The area around Chania is consisted of lots of little villages, caves located around the acrotiri area and many beautiful beaches. The beaches are not organized and not often visited, an ideal place for people who want to escape from busy places and have some time relaxing. Nea chora is a sandy beach just outside the city, well organized with shallow waters. There are reastaurants sun beds and umbrellas, everything you need for a relaxed day at the beach. Another well known beach is that of kalathas. 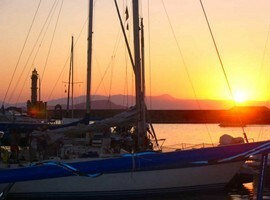 Organized as well, located 11 kilometers Northeast from Chania , it is a better option if you are willing to venture a little bit further of the city. Balos is an island west of chania, a tropical like place with pink sandy beaches, one of the most beautiful beaches of Crete. 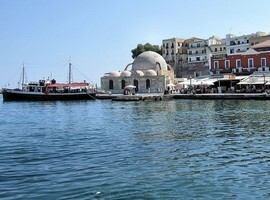 Elafonisi is another sandy small island, only accessible by boat, about 76 km from Chania. The white sand and the crystal clear waters form a majestic landscape. Be sure to have a camera with you because you will want to capture and share the view of this majestic place.